Check out these Fresh iPhone app releases right now. Levi Roots – Sunshine Food (iPhone), $6.99 It’s .. Tap into these brand new iPhone apps right away. Messenger for Google Voice (iPhone) $2.99 You have to be a little .. Sometimes smart phones disappear. 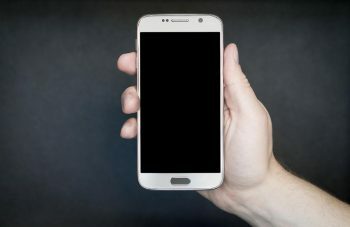 The trouble with these phones is they tend to be small, expensive, ..
Download these great apps and games right away before the prices go up again! Games Resident Evil 4 (iPhone) ..
Zendesk’s iPhone app isn’t flashy, and it doesn’t include a lot of features – which .. There are more than 100 apps that interact with DropBox and its mobile file-sharing service, so DropBox ..
Take advantage of these price-drops for great iPhone apps, two of which were reduced in collaboration ..
Ping Me! (iPhone), 99 cents Avid Craigslist users know that trying to find items, or even jobs, on the service ..
Ads in apps are big business, so much so that Media News Daily expects to see the mobile advertising .. Follow Me Pro (iPhone) $0.99 (was $1.99) Track your travel and take photos while you do it. Follow Me Pro is a Travel ..
VLC Media Player (iPad)Free It’s free, it’s open-source, and it plays media files without converting ..
Apple filed a bunch of patents last week for various software, showing its intention on making the iPhone ..